Highland Community Church’s community garden has a unique, geometric layout based on the shape of a wheel. The spokes are paths, and the plots curve around the hub. As the number of plots expands, the wheel gets larger. Blue water barrels are dotted at random throughout the garden – well, random to me although probably not to the people who put them in place – and rainwater is scooped out with a watering can or plastic jug. 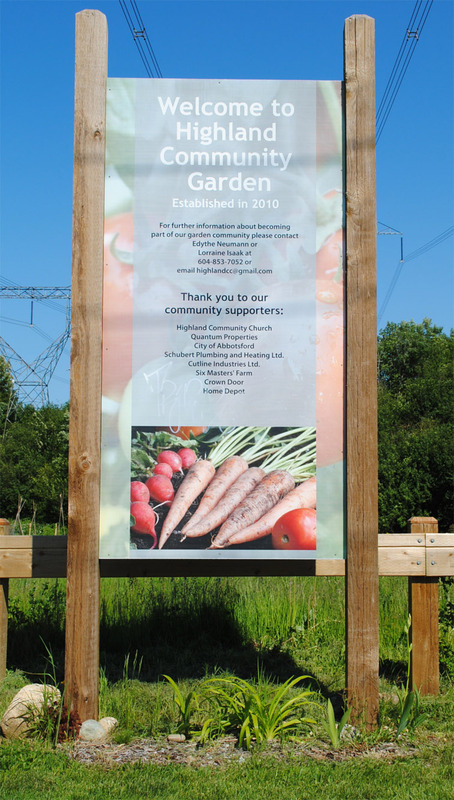 Highland is part of the A Rocha community garden network.